The Takahashi LE long eye relief eyepieces are a high quality line of eyepieces featuring Takahashi's proprietary LE deisgn and a 52 degree apparent field of view. Available in focal lengths from 5mm through 50mm, these eyepieces provide superior color correction and saturation and exceptional sharpness. The long eye relief makes the LE's easier for people who wear glasses. Available focal lengths in a 1.25" design include 5 mm and 7.5 mm in ED extra-low dispersion glass, and 10 mm, 12.5 mm, 18 mm, 24 mm and 30 mm. 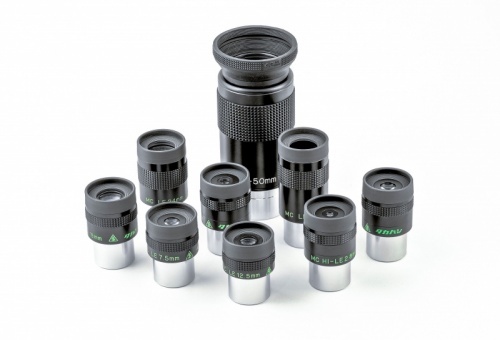 A 2" 40mm & 50 mm flat field eyepieces are also available. All eyepeices feature multi-coated glass for maximum light transmission.